Wheel alignment, or tracking, is the way a vehicle’s wheels are set to the optimum position, as per the car manufacturer’s specifications. Incorrect wheel alignment can result in irregular tyre wear, affect the handling and safety of the vehicle. Wheel alignment problems can be caused by hitting a kerb, driving over a pothole in the road or by excessive wear to steering or suspension bushes and components. It is important to get your wheel alignment checked regularly, especially on performance vehicles to ensure you get the most out of your tyres and the best handling characteristics. Checking your wheel alignment often can prolong the life of your tyres by up to 12,000 miles and increase fuel efficiency due to the reduced rolling resistance with the road – saving you money. Keep an eye out for unusual wear on your tyres, such as premature wear on the inside or outside shoulder, which could be a sign of incorrect alignment. At Awesome we do a quick check with every service. 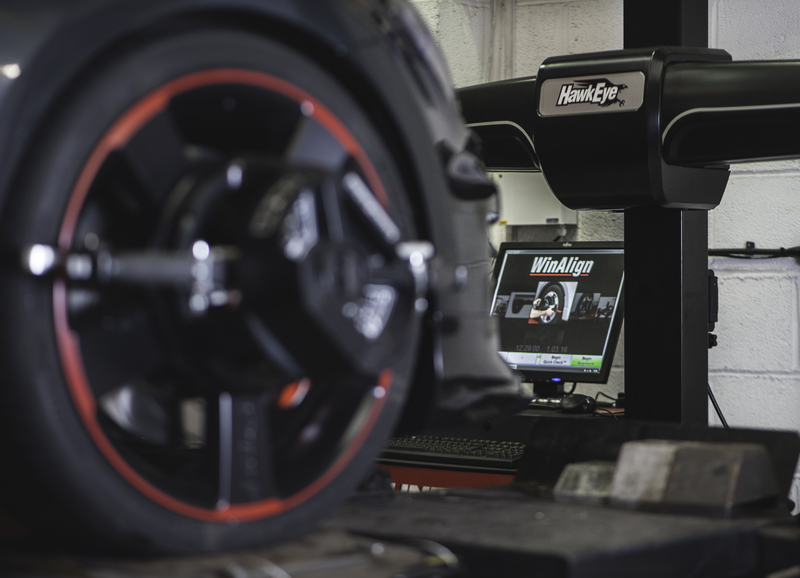 Call us today for details on getting an alignment done using our state of the art Hunter alignment system. 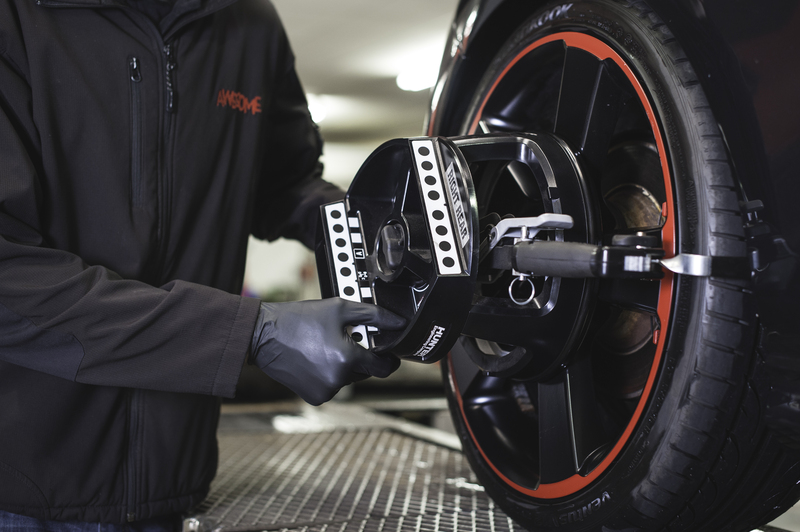 The Hunter Hawkeye four-wheel aligner is renowned for its accuracy and uses a series of high-definition imaging sensors which measure 14 primary alignment angles on your vehicle. These include Camber, Caster, Thrust Line, Toe in and Toe out. The position and orientation of your wheels are compared against the vehicle manufacturers data for your vehicle, ensuring the vehicle is set up perfectly for you to drive.